The landscape of marijuana laws has changed considerably over the last few years, so much so that a recent Forbes article, declared that marijuana won the midterm elections. It seems each year more and more states are changing their laws with respect to marijuana and its uses. Michigan is the tenth state to legalize recreational marijuana and the first state in the Midwest to do so. Missouri and Utah joined 31 other states in legalizing the use of medical marijuana. This leaves companies in the position of navigating a mixed bag of state marijuana policies. 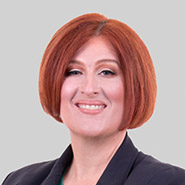 During this webinar, Christina Stoneburner, Partner, Labor & Employment, Fox Rothschild LLP will address the different state laws that impact a company’s drug policy and will share best practices for hiring and drug testing to keep up with the times while also maintaining a safe working environment. © 2019 All content of this web site is the property and copyright of Fox Rothschild LLP and may not be reproduced in any format without prior express permission. Contact [email protected] for more information or to seek permission to reproduce content.